Since 2006 we are specialized in designing, producing and installing integrated partition systems and, more recently, tailor made carpentries. With a strong technical know-how, we assure the complete production of a solution entirely developed and marketed by us with high reliability, quality and functionality. With about 10 000m2, modern equipment, strong know-how and continuous improvement policies, we effectively overcome the new projects’ challenges. With this project, Bamer will rearrange its current production process that is weakly automated and unsuited connected within its distinct production stages, leading to a low operational productivity. Furthermore, this project will allow the aggregation of surface treatment process to our value chain, allowing a bigger domain of the production chain value, that will be sustained using renewable energy (industrial pellets boiler) for surface treatment heating. Besides the technological innovation, the company aims to improve a management system (ERP), integrating new processes to support economic and financial management activity, operations with business partners, as well as information processing in an analytical and intelligent way to better support management decisions. - Establishing optimization and development strategies that fulfill our customers, partners, employees, suppliers and other stakeholders. - Achievement of all legally, regulatory, contractual, normative and ethical requirements with absolute respect for the standards: NP EN ISO 9001 and FSC Chain of Custody Certification, FSC-STD-40-004 (V3). - Providing information and other resources to successfully fulfill our goals. 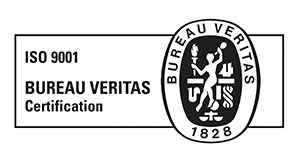 Being certificated in accordance with NP EN ISO 9001:2015, by BUREAU VERITAS Portugal, our Integrated Management System reflects dedication to our customers by improving our performance as a company, delivering products and services with mutual benefits. By complying stringent requirements from FSC certification, with our FSC certified solutions we guarantee the acquisition of raw materials from certified suppliers and therefore an appropriate control of storage, processing and dispatch. Certificate scope including products and certified sites may also be checked on the FSC database. With SIGRES – An Integrated Management System for Packaging Waste, Sociedade Ponto Verde plays an important role as partner for packaging recycling, always with the will of improving the materials’ lifetime and recommending the implementation of a sustainable circuit for itself.